Terming pollution "India's biggest problem", Gadkari said that Ethanol-based fuel will help tackle pollution. Union Minister of Road Transport and Highways, Nitin Gadkari on Thursday said that India will have an ethanol industry worth Rs 1 lakh crore within the next five to seven years. New Delhi: Union Minister of Road Transport and Highways, Nitin Gadkari on Thursday said that India will have an ethanol industry worth Rs 1 lakh crore within the next five to seven years. Addressing the 58th Annual Convention held by the Society of Indian Automobile Manufacturers (SIAM), Gadkari said, "The Government of India has formulated a policy to use substitute, cost-effective, and pollution free fuels. We want to promote usage of substitute fuels and we will have an ethanol industry worth Rs 1 lakh crore within the next five to seven years." "Diesel buses in Mumbai run at a cost of Rs 110 per kilometre, Air Conditioned ethanol buses at Rs 78 per kilometre in Nagpur, electric buses at Rs 50 per kilometre, electric minibuses at Rs 27 per kilometre. Using substitute fuels will help bring down the cost of ticket as well as reduce pollution. 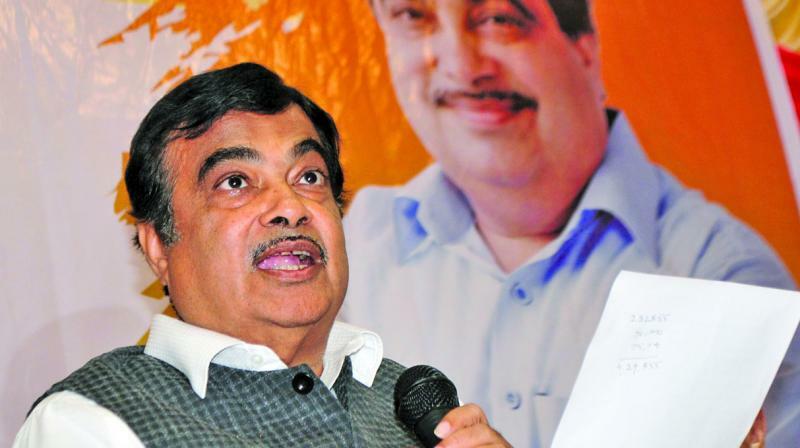 It is important for our economy to promote indigenous fuels," added Gadkari. Earlier today, Gadkari announced an exemption of commercial vehicles, buses, taxis and all vehicles running on alternative fuel from the permit requirements. As long-term focus areas for the government, he listed three areas - reduction of imports, increase of exports and reduction of pollution.